The batüda Riva San Vitale is located just beyond the village. Here the Monte San Giorgio (UNESCO World Heritage) apparently wants to enter directly into the lake and leaves little room for construction and the coastal road linking Brusino Arsizio. The place is charming as it is located on a strip of land well exposed on the lake, directly at the foot of Monte San Giorgio (1094 ms / m), which, although not a very hard mountain, here presents his most rocky side. From here, it is a pleasure to admire the Monte Generoso (1704 ms / m), to perceive the presence of villages lying on its slopes, and admire the villages that lies on the opposite shore of the lake. Taking a look to the north you can see the Monte San Salvatore, while to the south you can see how the lake closes and admire the gulf with the great beach of Riva San Vitale. The Windsurfing Club Riva San Vitale promotes the sport of windsurfing since 1985, believing that practice the sport of windsurfing means to come into direct contact with nature, with the water and the wind. The area of ? ?the river "La Valle", which ends right at Batüda, is considered the ideal place to learn to slide light on the lake through sheer force of the wind. Annually are performed renovations and purchased new boards and sails for education and hire. 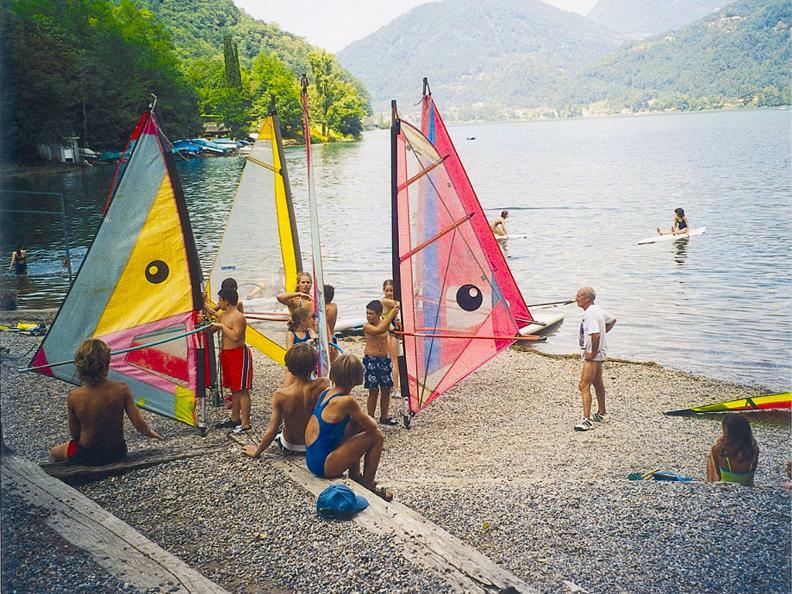 The Windsurfing Club is the only one to propose this activity on the lake of Lugano. 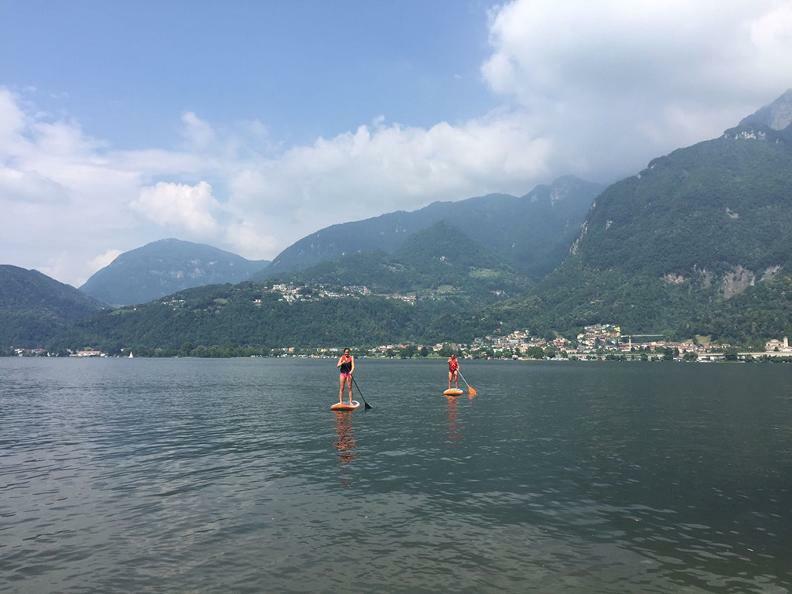 The Windsurfing Club Riva San Vitale offers as well the possibility to practice the SUP. Starting from the beach of our club you can peacefully surf to explore the beautiful lakefront of Riva San Vitale and Capolago or the most wooded coast in the direction of Brusino. It’s a good opportunity to combine leisure and sport and to discover the "Momò" part of our wonderful Lake Ceresio. Any special skills aren’t required to carry out this activity. 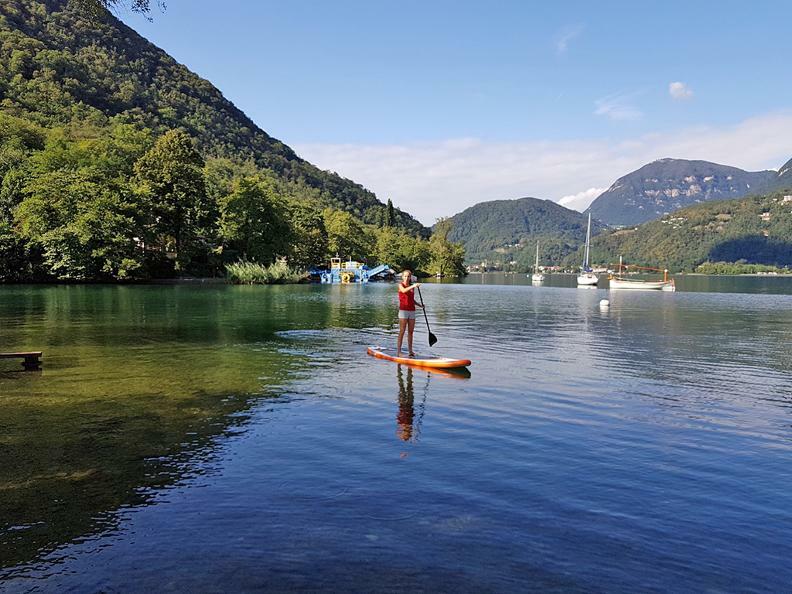 The SUP is suitable for everyone, children and adults. The fun is guaranteed! Every afternoon, mid-June - early September.